John Cecil Culpepper Jr., Male, born __1936 in Milam Co., Texas, child of J. C. Culpepper and Mary Lake Henderson. Obituary of John Cecil Culpepper Jr. (#7850), published 21 Dec 2008. Mary Lake Culpepper, Female, Single, died 10 Nov 1965 in Brazos Co., TX. John C Culpepper, Male, Widowed, died 10 Mar 1973 in Brazos Co., TX. Bessie Irene Culpepper, Female, died 24 Mar 1992 in Bell Co., TX. Wallace Hilton Culpepper, Male, born 24 Jul 1950 in Milam Co., Texas, child of Martha Lee Werner. Wallace Hilton Culpepper Jr, Male, died 1 Nov 1991 in Bell Co., TX. Wallace Hilton Culpepper, Male, died 10 Jun 1993 in Bell Co., TX. Wallace H Culpepper, Jr, 40, married Deana Casey, 37, on 29 Dec 1990 in Bell Co., TX. Martha Lee Werner, Female, born __ 1931 in Milam Co., TX to E. P. Werner and Vance Hardy Randolph. Obituary* 21 Dec 2008� John Cecil Culpepper Jr., one of Texas' leading commercial real estate developers, died Friday, December 19, 2008, at St. Joseph Regional Health Center in Bryan, Texas. Visitation will be from 5 to 7 p.m. Monday, December 22, 2008, at Hillier Funeral Home in Bryan. A Memorial Service under the direction of Reverend Jesse Myers will be held at 2 p.m., Tuesday, December 23, 2008 at First Christian Church, 900 South Ennis in Bryan. Interment will be at Restever Memorial Mausoleum. Born December 29, 1936, in Cameron, Texas, to Mary Lake Henderson and John Cecil Culpepper, he moved with his family to College Station in 1938. 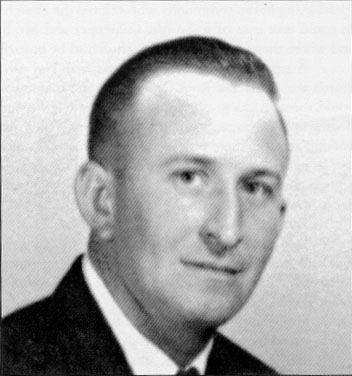 John attended public schools in both Bryan and College Station and graduated from Stephen F. Austin High School in 1955. He received a bachelor's degree from the School of Business Administration at the University of Texas in Austin and a Doctor of Jurisprudence from the University of Texas School of Law where he was selected as Associate Editor of the Texas Law Review. He served as a member of the Board of Directors of the University of Texas Law School Association from 1965 to 1968. After admission to the Texas Bar in 1963, John returned to Bryan-College Station to join his father in the company he established in 1937, Culpepper Realty. He was blessed to have been able to pursue his career alongside both his father and his son. With them, John was responsible for the development and building of more than three million square feet of shopping malls, retail centers, office buildings and restaurants throughout Texas. A 40 year member of the International Council of Shopping Centers, he served as faculty member of it's University of Shopping Centers. John's lifelong avocation was archery and bowhunting. A Senior Member and former Board Member of the Pope & Young Club, he took pride in his inclusion in its Book of Records. Second only to his love of family and joy in three grandchildren was his continuing pleasure in teaching two generations of young people to shoot the bow. His is survived by his wife of 47 years, Mary Anne Massengale Culpepper, his son, John Cecil (Jack) Culpepper III, his daughter-in-law, Mary Claire Crenan Culpepper, and grandchildren, John Crenan, Mary Elizabeth and Jacqueline Claire Culpepper, all of Bryan-College Station. Honorary pallbearers include his cousins, John Burns Henderson Jr., and Hilton Culpepper, both of Cameron, Ken Craven of Rockport, and Benjamin Franklin, James D. Martin III, William F. Phillips, J. Stanley Stephen, Adrian Martinez, Lawrence Haskins, and Joe Bonafazi, of Bryan-College Station. The family especially thanks the staff at Sherwood Health Care for compassionate and dedicated care given to John during the last few months. Cynthia Lee Culpepper, Female, born __ 1958 in Travis Co., Texas, child of John Cecil Culpepper Jr. and Mary Lee Taylor. John Cecil Culpepper, III, Male, born __ 1965 in Brazos Co., Texas, child of John Cecil Culpepper Jr. and Mary Ann Massengale. E-mail written 1999-2005 to Lew Griffin & Warren Culpepper from Vivian Melton (granddaughter of Emma Hardy Culpepper Dixon), e-mail address. Dooly County, GA Marriage record: "Miss Hendy Culpepper and James Dickson, 4 Feb 1893." Doctor Roger Culpepper was born and raised in Powell, Ala. He graduated from Fyffe High School and received his B. S. Degree in Chemistry from Auburn University. No matter how many other schools he attended, he remained a true Auburn Alumni and an ardent football fan. He went to dental school at UAB, but decided not to become a dentist and dropped out in his last year. He completed his doctorate studies in clinical chemistry a the Medical College of Virginia, earning his Ph. D. Now a doctor of philosophy, Roger Culpepper entered the West Virginia School of Osteopathy in Louisbourg, W. Va. In 1983, after finishing his internship at Warren Hospital in Warren, Ohio, he moved back home to Northeast Alabama, where he began practicing medicine. During the 20-odd years he operated the Ider medical Clinic, he attended the Birmingham School of Law and earned a doctor of jurisprudence. Roger's higher education now included three doctorates and a bachelor's degree from Auburn. During his medical career, he was licensed to practice in Alabama, Tennessee and West Virginia. After a two-year courtship, Doc married his wife, Virginia Witzleben, in 1983. "Ginny" was a registered nurse in Saginaw, Mich. They did not have any children. They lived on the Culpepper family farm in Powell. The lifelong drive of Roger Culpepper was to "save man and humanity." To contribute toward this inspiration goal, he treated thousands of people without pay, and he was active in numerous medical societies and legal organizations. He was a soft touch for a contribution to any worthwhile cause. He ran for political office in an effort to influence the Laws of the State of Alabama. He also taught religion and philosophy to various groups from time to time. In short, doc worked toward his goal throughout his life. Doc was a voracious reader. He was accused of being Barnes & Noble's best customer. He particularly liked technical books and biographies. Often he would read three to four books a week. As a result, he was conversant on any subject and could usually expand the conversation to another level. He was blessed with a magnificent memory that allowed him to remember almost any historical date, character, or act. In 1995, Doc began to suffer from heart disease. His health deteriorated, even after a triple coronary bypass and a kidney transplant. He lived until Monday, Jan 24, when he passed away. A devout Christian and truly a citizen of the world, Jerry Roger Culpepper will be sorely missed by those who knew him. From a dear friend, Bob French Jr.
Cecil Green Culpepper served in the US Navy during WW-II. He served on the aircraft carrier USS Intrepid as a storekeeper and saw action in the Okinawa campaign. After the war he attended the University of Chattanooga (now the University of Tennessee at Chattanooga). The first on either side of his family to graduate from high school or college. He was later recalled to the navy in September 1950 and served aboard USS Ault-(DD698) and USS Shenandoah (AD26) during the Korean War. Discharged November 1951 as Storekeeper IIC (SKG2C).